Thunderstorm season in the Northeast US is off to an eye opening start after yesterday’s severe weather outbreak. 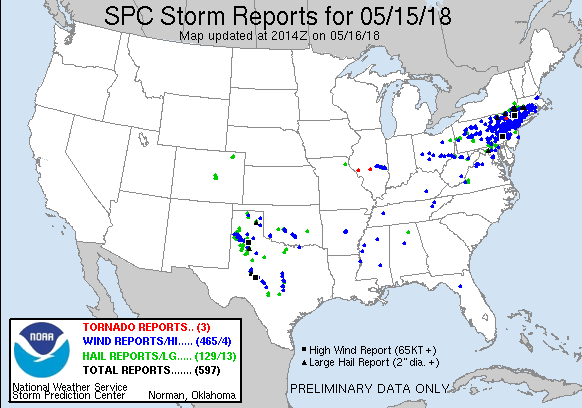 A strong squall or line of thunderstorms passed through MA down to NJ in the late afternoon and evening bringing damaging winds and localized hail. In the radar image below, note the gust front ahead of the thunderstorms and the high dBZ signatures (in purple) over CT as thunderstorms barrel through. 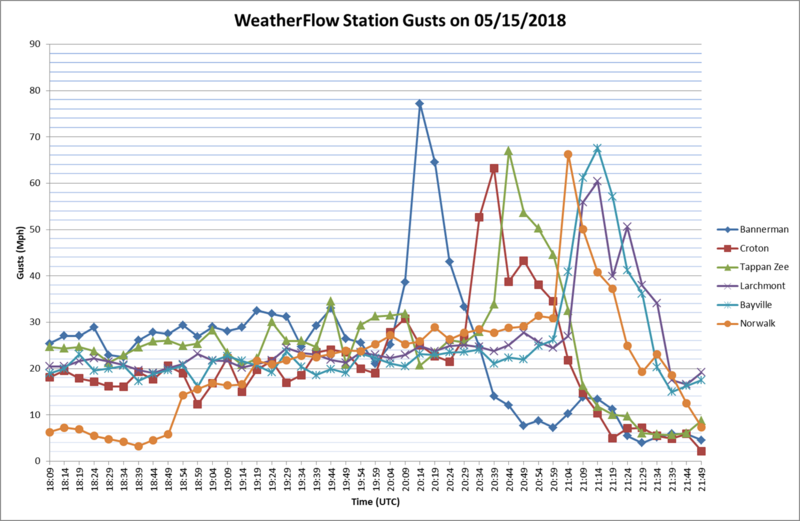 Dime to golf ball sized hail was reported in parts of NY and CT.
WeatherFlow stations recorded several gusts around NY and CT exceeding 60 miles per hour! 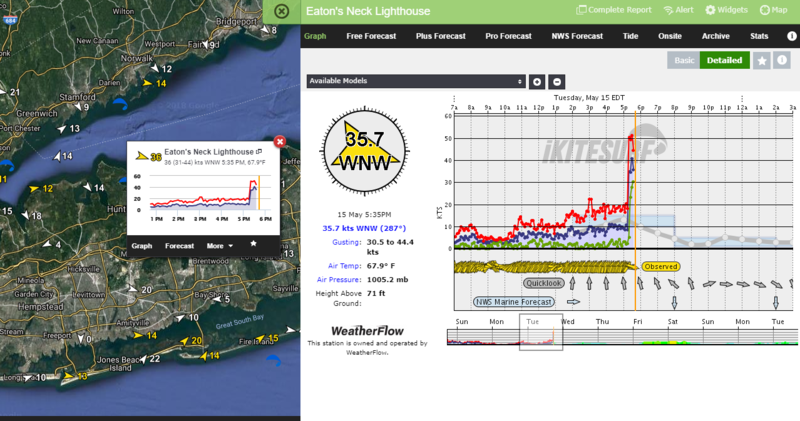 Honorable Mention: WeatherFlow station, Eaton’s Neck Lighthouse measured a 50 knot gust (~57.5 mph). Let’s remind ourselves to stay safe when severe weather approaches and heed the watches and warnings issued by your local NWS offices. This image was taken in Milford, Ma before thunderstorms passed through. 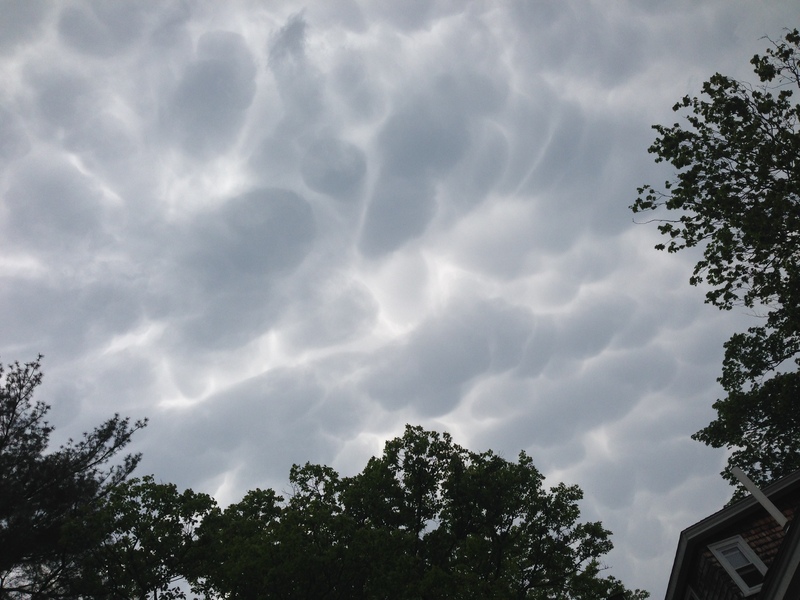 These are mammatus clouds, formed by cold dense air sinking downward into warmer air causing groupings of ominous lobes. These types of clouds are often seen out ahead of thunderstorm clouds and are therefore harbingers of imminent severe weather. Source: WF Forecaster Tim Nicholas.